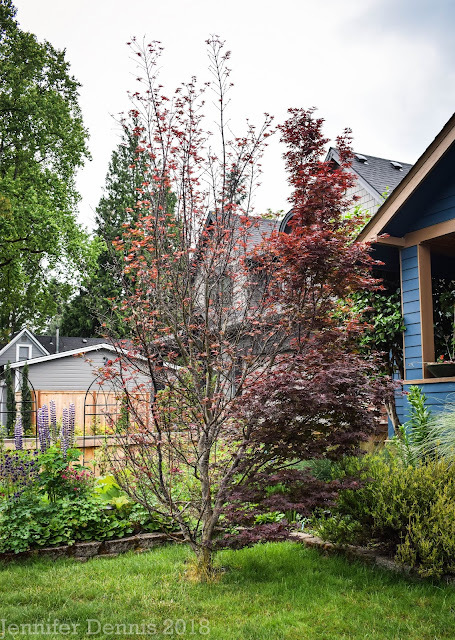 One of the plants I will miss after we move back into the Portland, Or metro area this summer are the three old fashioned lilacs that are on this property. They are over 50 years old and produce the most wonderful blooms. I used the 1960's photo vignettes found in Picasso. Seemed appropriate. Here's the pretty lilac in real life color. There is nothing like the scent of lilac floating through the air on a warm spring day. It is like a little bit of serenity can find you in the mist of the madness of our modern world. I love lilacs too. You might like to read "Under the Lilacs" by Louisa May Alcott. I love lilacs too! They have such a wonderful scent. Good idea to take some runners with you. Yours are such an unusual color. I only ever see them in white and deep purple. 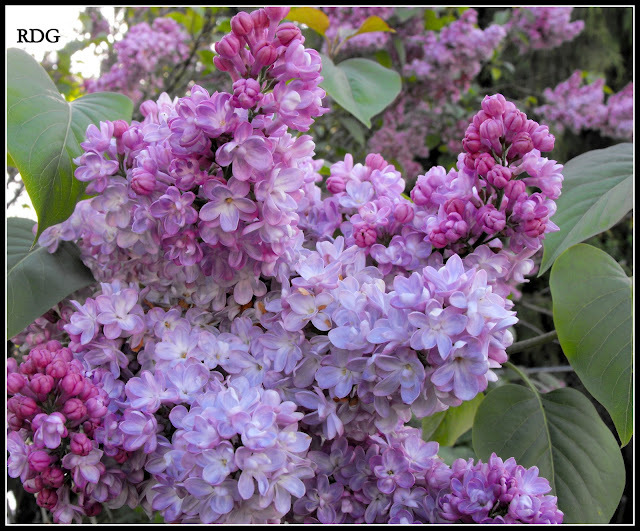 There are three lilacs on the current property, white a darker purple and this medium purple. I'm hoping to take runners from all three if possible. I was going to suggest taking cuttings - just another way to get more. Those lilac blooms are wonderful!! I'm glad someone told you about pulling up runners so that you can have some at your new place. Grace is so smart when it comes to gardening! 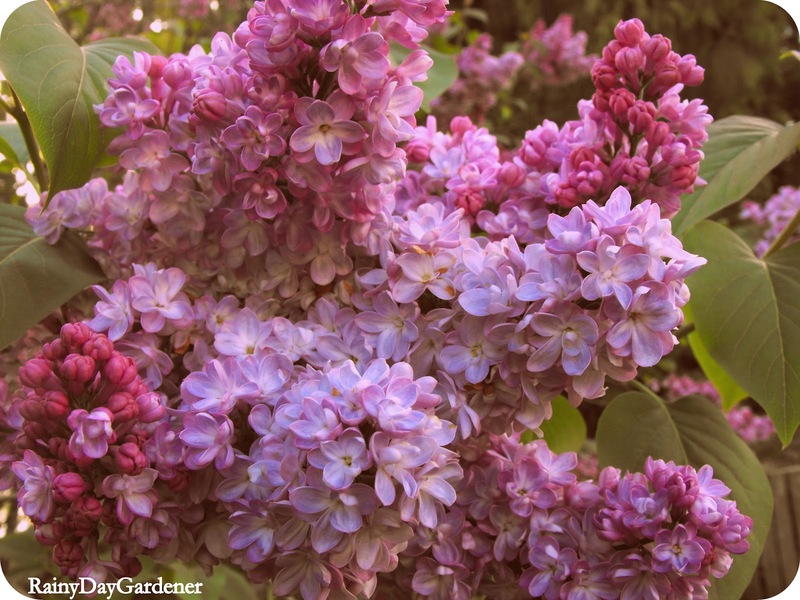 I have a lilac in my Portland garden that is from a cutting, of a cutting, of a cutting from the lilac my great-great-grandmother had in Baker City, OR. Mine is blooming from the first time this year and it was worth the wait to be connected to a really strong woman I never met. Lilacs are sure nice. The older ones seem to have the best and most fragrant blooms. Those runners can be tough stuff getting out, but best of luck! I think it will be well worth the effort. Oh, those lilacs are beautiful! So glad you will be able to take a bit of them with you. They don't grow down here, but I got to (finally!) smell one for the very first time earlier this month when I went to visit my sister in Colorado. I understand why you would want to take these with you!